Ever since his cinematic debut with 1992’s Alien3, I saw every one of David Fincher’s films on the big screen - until 2008’s The Curious Case of Benjamin Button, that is. As one who openly refers to himself as being “in the bag” for Fincher, why did I skip this effort? With its sprawling length and character-focused story, Button seemed better suited for viewing on the small screen anyway. Born at the end of the First World War, Benjamin Button’s mother (Joeanna Sayler) dies during delivery, and his father (Jason Flemyng) abandons him. Why leave the newborn alone? Because despite his infant-life size and demeanor, Benjamin starts life as a being in his mid-eighties. A caretaker for the elderly named Queenie (Taraji P. Henson) takes in the baby as her own and names him Benjamin. All involved assume that Benjamin won’t live long because of his many physical problems, but he proves them wrong. Benjamin (Brad Pitt) ages in reverse, so the apparently elderly man gets younger as time passes. We follow his life and adventures, with an overriding theme connected to his love for Daisy (various actors, but mostly Cate Blanchett), a character he meets in 1930 when she was a young girl. After a career that focused on dark, edgy flicks, Fincher seems like an odd person to take on a sentimental fantasy such as Button. That doesn’t mean Fincher’s prior films lacked feeling, as they presented a range of emotions, but nothing in them indicated he would be a good choice to take on something of this sort. In Button, Fincher does embrace his inner Spielberg, but it still just doesn’t feel right to me. Button does display Fincher’s always excellent visual eye, as it certainly looks great from start to finish. Unfortunately, it doesn’t boast much beneath the surface, and the comparisons to Gump remain apt. Others have analyzed the many similarities between the two, and Eric Roth wrote both. I wouldn’t call Button a rehash of Gump or an imitation, but both sure have a lot in common. Given my immense respect for Fincher, I hate to acknowledge that I like Gump much more. For all its flaws, at least Robert Zemeckis turned Gump into an entertaining fable. Whenever the sappiness threatened to overwhelm it, the flick tossed out goofy comedy and made sure it didn’t lose us. Fincher makes Buttons a more low-key affair than Gump, but he doesn’t manage to imbue it with greater depth or introspection. If the movie boasts thematic resonance beyond “live each day like it’s your last”, I missed it. I suspect the film wants to be more than that, but it never gets there, and it disappoints me that Fincher created such a shallow film. And such a dull one, too. Whatever else one thinks about Fincher’s work, he’s never boring – until now. I don’t blame the movie’s length for this, as it’s not the 165-minute running time of Button that saps it of energy; it’s just the nature of the story. Like Gump, Benjamin is a passive character. He really doesn’t do much as the movie progresses, as he usually remains a passenger in his own life. 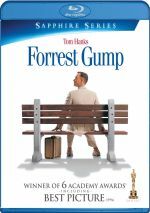 In the case of Gump, we don’t mind the main character’s passivity because so many interesting events happen around him, but little of that sort occurs during the plodding, flat Button. Rather than develop life around Benjamin, the movie concentrates on the love story between him and Daisy. If that side of things succeeded, I’d be fine with the lack of dramatic development, but the romance stays pretty dull. This means the movie just drags, and the actors fail to bring spark to the proceedings. I think Pitt is a fine performer, but he can’t emerge from beneath all his makeup to add life to Benjamin. Granted, the role doesn’t desire a charismatic performance, so I can’t criticize Pitt. He’s stuck in a dull part and does his best. I figured that Button would be a long, slow ride when I became distracted by the story’s logistics. For this movie to succeed, we should immerse ourselves in the tale’s premise and not look back. That never happens. Instead, I consistently wondered what was up with the “rules” behind Benjamin’s odd development. That was a bad thing, as I should’ve been sucked into the story and not cared about that side of things. The movie never explains why Benjamin ages backwards, and that’s fine. I do wonder why no one in the movie ever questions this premise, though. Everyone seems to accept his strange development and that’s that. Seriously – shouldn’t someone ever wonder what’s up with the guy? As much as I love Fincher, I simply think he was the wrong guy for Button. The film feels like something much more appropriate for a director like Tim Burton, someone with a better eye for fantasy and whimsy. I appreciate Fincher’s desire to expand his horizons, but he turns this into an oddly straight take on a fable that rarely threatens to come to life. The Curious Case of Benjamin Button appears in an aspect ratio of approximately 2.40:1 on this Blu-ray Disc. The film came with a strong transfer. Sharpness looked very good. Very little softness materialized, so the vast majority of the movie appeared accurate and concise. I noticed no issues with jagged edges or shimmering, and edge enhancement appeared absent. Source flaws failed to appear – well, at least the movie lacked unintentional defects. Flashbacks showed intentional specks, lines and marks that were added to make them look old. Button went with a stylized palette. Much of the movie displayed a rather golden hue, though we got a lot of teal as well. The colors were satisfying given their intentions. Blacks looked deep and dense, while shadows were smooth and clear. This became a consistently strong presentation. I didn’t expect a lot from the DTS-HD MA 5.1 soundtrack of Button, but it proved to be surprisingly immersive. Despite a character orientation, the movie boasted a fair number of scenes that offered opportunities for five-channel usage. Many of these came from the Hurricane Katrina sequences that popped up throughout the story; the audio allowed those to pack a punch and involve us in the storm. A battle at sea during World War II also provided real kick. Those weren’t the only memorable segments, and the movie didn’t need slambang pieces to impress. Indeed, the film satisfied at all times, and its quiet moments presented a surprisingly full sense of place. The soundfield offered a smooth connection among the speakers, as they blend together in a much better than average manner. This gave the track a fine feel for the settings and allowed the audio to embrace us. At all times, sound quality pleased. Music was warm and lush, and speech seemed concise. Dialogue showed a nice natural sense, and the lines lacked edginess. Effects demonstrated excellent clarity and accuracy, and they also boasted terrific low-end. Color me impressed by this well-formed and involving piece. 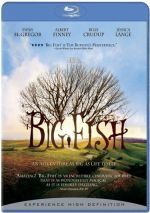 How did the Blu-ray compare to the DVD version? Audio showed greater range and oomph, while visuals appeared tighter and smoother. The Blu-ray offered the expected improvements. The Blu-ray repeats the DVD’s extras, and on Disc One, we get an audio commentary from director David Fincher. He provides a running, screen-specific discussion of cast and performances, sets and locations, makeup and effects, music, story and themes, visual choices, and changes from the original script. A veteran of the format, Fincher knows how to give good commentary. Despite the film’s extended length, the director remains active and chatty from start to finish. He digs into many useful subjects and provides good insights. Yeah, the director too often tells us how he loves this, that or the other thing, but I can forgive that tendency since Fincher usually sticks with worthwhile material. He offers a consistently fine commentary. Over on Disc Two, the main attraction comes from a four-part documentary entitled The Curious Birth of Benjamin Button. If viewed via the “Play All” option, this program runs a total of two hours, 55 minutes and 24 seconds. Throughout the documentary, we hear from Fincher, producers Kathleen Kennedy and Frank Marshall, former Universal executive Josh Donen, screenwriter Eric Roth, location manager William Doyle, production designer Donald Graham Burt, associate producer/production controller Jim Davidson, set decorator Victor J. Zolfo, first assistant director Bob Wagner, special effects coordinator Burt Dalton, special makeup effects artist Greg Cannom, director of photography Claudio Miranda, post-production supervisor Peter Mavromates, editors Kirk Baxter and Angus Wall, Digital Domain visual effects supervisor Eric Barba, Digital Domain character supervisor Steve Preeg, Digital Domain compositing supervisors Janelle Croshaw and Paul Lambert, Digital Domain lighting supervisor Jonathan Litt, Digital Domain 3D integration supervisor Marco Maldonado, Hydraulx visual effects designer Greg Strause, Lola visual effects supervisor Edson Williams, Asylum visual effects supervisor Nathan McGuiness, Asylum additional visual effects supervisor Jason Schugardt, MatteWorld visual effects supervisor Craig Barron, sound designer Ren Klyce, composer Alexandre Desplat, and actors Brad Pitt, Cate Blanchett, Taraji P. Henson, Jason Flemyng, Peter Badalamenti, Jared Harris, Julia Ormond, Rampai Mohadi, and Mahershalalhashbaz Ali. “Birth” covers the film’s production from start to finish. We learn about the project’s origins and very extended development, Fincher’s interest in it and personal connection to his life, story and script, and financing issues. The show also covers the viability of using one actor as Benjamin, casting Pitt and Blanchett, locations and working in New Orleans, and different aspects of the long shoot. In addition, the program digs into sets and production design, period details, supporting cast, makeup effects and cinematography, performances and Fincher’s style as director, editing, performance capture and other aspects of the visual effects, sound design, music and the film’s premiere. Simple length doesn’t ensure a quality documentary, as I’ve seen plenty of extended programs that just weren’t very interesting. “Birth” isn’t one of those shows. It provides a detailed and consistently interesting examination of the film. The documentary mixes interviews and behind the scenes materials well and digs into the appropriate topics with gusto. This is a truly great look at the movie’s creation. Note that the “Play All” option omits a few elements. If you look under the various subheadings, three of the four include bits that won’t show up via “Play All”. Four still galleries are available elsewhere on the disc and I’ll discuss them there. Two unique featurettes appear within the subheadings, though. “First Trimester” gives us “Tech Scouts” (12:22), and “Second Trimester” provides “Costume Design” (7:37). “Scouts” shows Fincher and crew as they check out various locations and plan for the shoot; in a nice touch, the featurette shows the relevant script excerpts onscreen as well. “Design” includes notes from costume designer Jacqueline West. She gives us thoughts about her work as we see photos and art that illustrate the subject matter. This is a good little exploration of the topic and I’m not sure why it was left out of the “Play All” side of “Birth”. It makes sense to keep something as specialized as “Tech Scouts” isolated, but “Design” would’ve fit in with the rest of “Birth” just fine. In addition to two trailers, the disc includes Stills Galleries. These break down into four areas: “Storyboards” (218 frames), “Art Direction” (49), “Costumes” (25) and “Production Stills” (122). The last one is probably the best, as it offers some nice behind the scenes peeks. “Costumes” is a bit of a disappointment since it simply shows photos from the film; it doesn’t provide any design sketches. Finally, the package features a booklet. Don’t expect the usual massive Criterion text, though, as this one is just a six-page foldout affair. It provides an essay from film critic Kent Jones that offers a decent appreciation of the movie. Prior to 2008, I’d felt frustrated by some of David Fincher’s films, but I’d never been bored by them. The Curious Case of Benjamin Button changed that, as it presents a slow, generally dull fable that never really comes to life. While the story has potential, Fincher fails to imbue it with the appropriate sense of heart or vivacity. The Blu-ray delivers excellent picture, audio and supplements. The movie’s a snoozer but this becomes a terrific Blu-ray.